We are pleased to announce the arrival of our new headlight sealant, all the way from the USA. Our new sealant is very different from all those “conventional” type sealant kits purchased from auto stores and used by other companies. It is as rare as gold and costs the price of a fuel booster pump from a space shuttle! . Our unique product reseals all polycarbonate lenses from disclouration after the headlight has been restored. The headlight restoration process, combined with this sealant, will add clarity and better visibility to night driving as well as looking good. 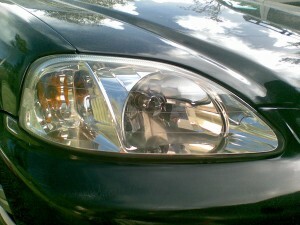 Our headlight restoration process only costs $100 per pair of headlights. Do you use a dashcam?